Premium Grade Beef -Beef Lovers Rejoice! Wagyu A5 meat is crème de la crème of beef. It has a high level of fat marbling with mouth-filling savoriness! Try this now from the Yakimono menu - price starts at $128. 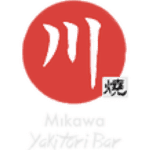 Mikawa Yakitori Bar © All Rights Reserved.